"This applesauce is delicious! I make it for my younger brother all the time and he loves it - and he hates canned applesauce!" I doubled this recipe and made it in my slow cooker. Took about 3-4 hours on high, no need to mash the apples, they mushed on their own.. yummy! I make this exact recipe every autumn, and it never fails to impress people. 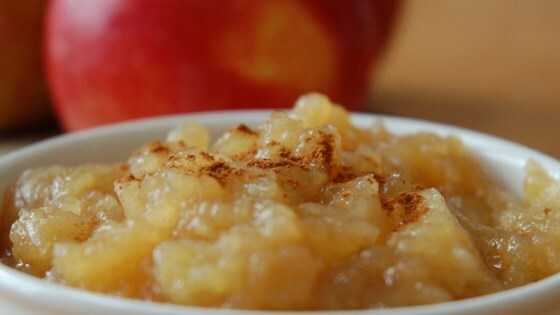 It's so easy, and homemade applesauce is FAR better than the storebought!